phone is similar to “jail breaking” an iPhone or the “unlocking” of a Windows Phone. When you root your Android device, you gain access to the entire file system, with full admin rights. You can customize your own boot image, create a full backup of your phone, or install a full-blown Linux distro. Basically, you can do whatever you want. So, should you root your phone? but before you decide, read on to see our list of the major pros and cons of rooting. this, you will essentially be able to tether for free without paying your carrier a fee. 2. Installing custom themes, mods, and ROMS . This is probably the reason most people root their phone. The ability to deeply customize your own device and upgrade software is very appealing to a lot of rooters. 3. Backing up all the data and apps on the device. 4. The ability to install any application or game, including those “blocked” or Tegra-only games. 5. The ability to underclock the processor to conserve power. This is huge for a lot of people as Android devices are real battery hogs. I have been able to squeeze out days of battery life on a medium-sized battery by underclocking, which is pretty significant. 6. The ability to remove bloatware from your carrier-branded Android device. We all know that carriers love putting quite a bit of crap on their phones and rooting is one way to get rid of it. 1. If the rooting process fails you may permanently “brick” your phone, rendering it unusable for anything other than, well, a brick. Basically, your phone will be useless. 2. Rooting your phone typically voids any manufacturer and carrier warranties. This is pretty crappy, honestly, but some OEMs won’t cover certain things. It is really up to the manufacturer. You could lose out big, though, if something major breaks and you have to pay the full repair price. overclocking, wearing out the SD card prematurely and burning out pixels in the screen. Additionally, the potential monetary costs that your carrier might apply if they see you’ve downloaded several gigs of data to your laptop could be big. 4. 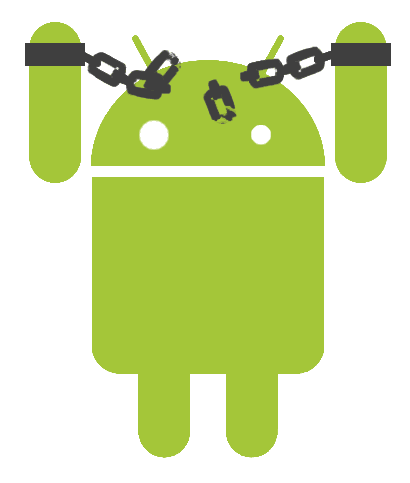 Rooting usually causes general instability of your Android smartphone. This is a given, as you are basically beta testing modifications and ROMS before they become daily drivers. Expect great performance, but a lot of bugs. So, is Rooting really for You? If you’re a hacker or tinkerer and don’t mind bugs, I’d say yes. If you’re not, I’d say hold off and make sure it’s really what you want. You must remember that with most phones, once you root, you can’t go back. It is very difficult, in most cases, to completely reset your device to factory conditions, which is definitely something to consider before you decide. I ROOTED MY DEVICE THE NEXT DAY AFTER I BOUGHT IT. Once you root an phone and use it you will root every android you get. This entry was posted in Android and tagged Rooting.